With the exception of these three teams, the rest of the World Tour squads have achieved at least one victory this season. After a hectic first month in the international cycling calendar, it's time to take stock. After celebrating one-day races (like the trophies played in the Challenge of Mallorca) and one week's laps like the Tour Down Under or the Vuelta a San Juan, we can extract interesting data. Which teams have achieved more victories? Which runners of the top-10 of 2018 maintain the form? Which squads do not know victory? Next, the answers. Curiously, these are the three World Tour teams that have not managed to release their record in the first month of competition of the 2019 season. Therefore, the rest of the 15 teams that make up the highest category of cycling already know the victory in this campaign: BORA (Sagan, Buchmann and Bennet), QuickStep (Viviani and Alaphilippe), Movistar (Anacona), Astana (Izagirre), Mitchelton (Yates, Trentin, Impey and Schultz), CCC (Van Avermaet and Bevin), Jumbo Visma (Groenewegen), Education First (McLay and Woods), Sky (Doull and Van Baarle), UAE (Philipsen and Gaviria), FDJ (Sarreau), Lotto Soudal (Wellens), Dimension Data (Boasson Hagen), Katusha (Kittel) and Trek Segafredo (Porte) . 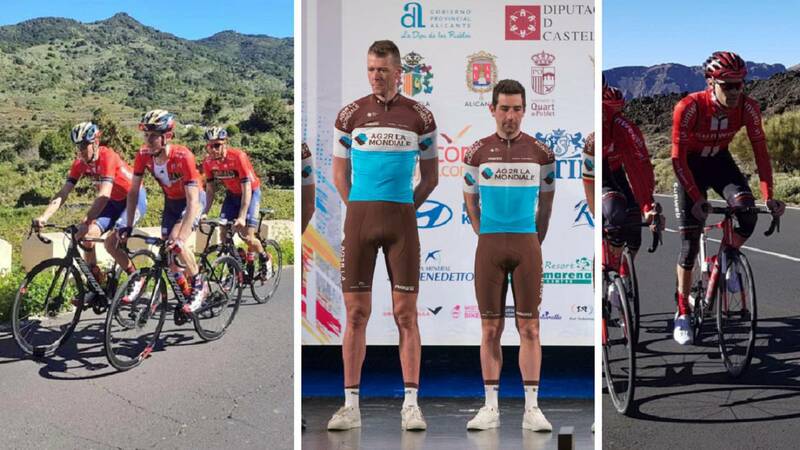 En bue On the other hand, the victory options of AG2R, Bahrain and Sunweb have been greatly reduced by the absence in competition of its three great leaders: Romain Bardet, Vincenzo Nibali and Tom Dumoulin. In the case of the Dutch, it should be noted that in the presentation of the Sunweb announced that its grand goal of the season would be the Giro d'Italia, a race in which last year had to settle for the second step of the podium against the impressive machado Chris Froome, when he certified his triumph with a breakaway of more than 80 kilometers. To face such a company in May, Dumoulin's debut this season should not be expected. Since we have only been competing for a month, it is rare that all runners who finished in 2018 in the top-10 of the UCI ranking have achieved a victoria with the exception of Alejandro Valverde and Geraint T homas. Especially strange in the case of Murcia, who last year already knew what it was to climb to the top of the podium at this stage of the calendar. Nor has he achieved any partial victory since he donned the rainbow jersey in the world championship, since the last classics of 2018 led to the signing of Pinot. The Movistar rider has had him close in a Tour of Valencia in which he achieved a second place in the queen stage (surpassed by Adam Yates in the final climb) and another second place in the general behind Ion Izagirre. Precisely in that Vuelta a Valencia saw the current winner of the Tour de France, but very relaxed way. Your fitness is now very far from the fight for the triumphs. For their part, the rest of runners who have entered the competition in this 2019 and who signed top-10 in the ranking of last season have already added some triumph : Viviani, Sagan and Alaphilippe. The rest of the top-10 (Simon Yates, Dumoulin, Pinot, Roglic and Bardet) has not yet debuted in this 2019. The Australian team is the team that has signed more wins until the moment with a total of 8, above all, thanks to the fantastic performance of Impey in this beginning of the course. The South African is one of the most fit cyclists at present, having won stage and general of the Tour Down Under and the national championship of South Africa. Además, is the team that has achieved more wins with different runners (the 4 previously mentioned) and the set with more victories in different races: Tour Down Under, Tour of Valencia, Herald Sun and national championships.